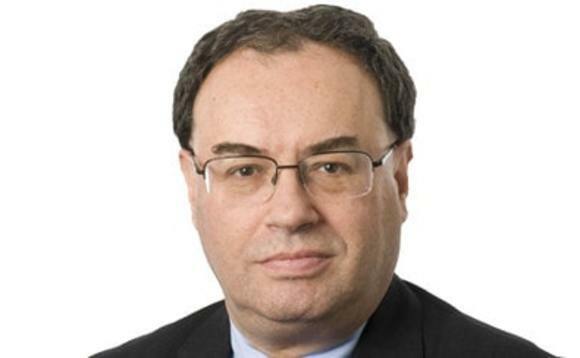 Sacrificing open financial markets and free trade, is not “an inevitable response” to Brexit, according to Financial Conduct Authority chief executive Andrew Bailey. In a speech to an invited audience at a Thomson Reuters event this morning, Bailey has urged “sensible use of equivalence” for financial services, in a bid to provide an alternative to ‘passporting’. A growing number of non-EU member countries, are using equivalence, to allow free trade, however, unlike passporting it can be revoked at a week’s notice. “Some of the commentary on Brexit suggests that it must inevitably lead to restrictions on trade, on the location of activity in financial services and on open markets,” said Bailey. “My question is therefore whether restricting trade is an inevitable or necessary response to Brexit and in the interests of anyone? I hope you will not be surprised to hear that my answer to these is “No”. Bailey believes that open markets in financial services, freedom of location and free trade are important to the functioning of the global economy. Well integrated financial markets “support economic growth and employment” and can reduce the cost of access to financial services by encouraging competition, he pointed. “It is important to always have in mind the commitment of G20 leaders, at the Pittsburgh Summit in 2009, to avoid fragmentation of markets, protectionism and regulatory arbitrage,” said Bailey. Bailey, who has just been awarded a £65,000 bonus on top of his £330,000 salary for his first year’s work as the chief executive of the UK’s regulator, according to accounts released by the regulator this week, has had a busy week with the fallout from last week’s fund management final review. The £65,000 bonus will be split, with a £26,000 payment received this March, and the remainder in March next year subject to approval from the FCA’s remuneration committee. Bailey argued there is an “obvious basis” for the EU to grant the City equivalence and he believes that there is “ample evidence” that open markets in financial services and free trade can exist safely without common detailed rules and shared regulatory institutions. “Consistent outcomes of regulation are what matters,” said Bailey. “Open markets, freedom of location and free trade in financial services matter a lot and should be preserved. “My view is that if there is a commitment on all sides that the UK and the EU maintain substantially equivalent regulatory arrangements in future, that it will not be necessary to restrict open markets and free trade in financial services and therefore not necessary to limit the freedom of firms on location. “And therefore, I see no reason why we should sacrifice open financial markets and free trade, as an inevitable response to Brexit,” Bailey concluded.